We are a couple living in New York Los Angeles who are disgusted by what’s happening in our country today. As we struggle to deal with our grief and anger, we realize that we must not become despondent and forget to channel this energy into sustainable action. We can’t give up. And we must remain vigilant. We invite you to join us in taking a small step towards alleviating the impact of this election, through an ongoing fundraising campaign that benefits different grassroots organizations every quarter. 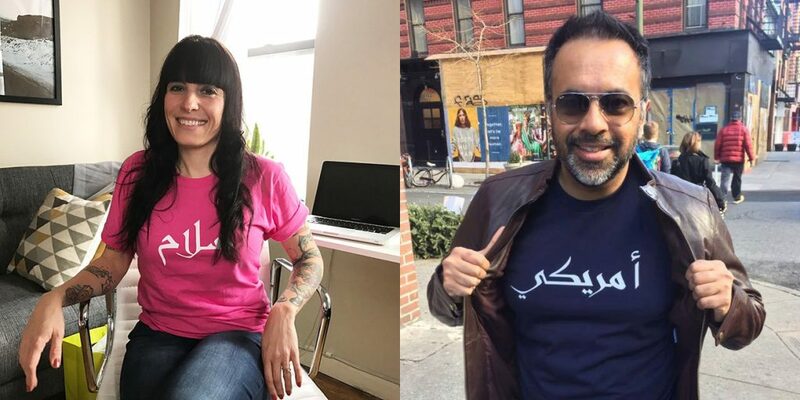 For the inaugural iteration, we offered t-shirts which read either “American” or “Peace” in Arabic. With the support of friends, family and good people all over, we raised over $1,400 for the Muslim Community Network and The Sikh Coalition. The second Bakesale is on now and benefits Planned Parenthood. Please help spread the word and invite anyone you think would be interested in participating. Copyright © 2017 Mary Cucci & Paul Singh.